We can help realise cost and programme benefits with the underpinning, testing and development of new services prior to deployment on site. 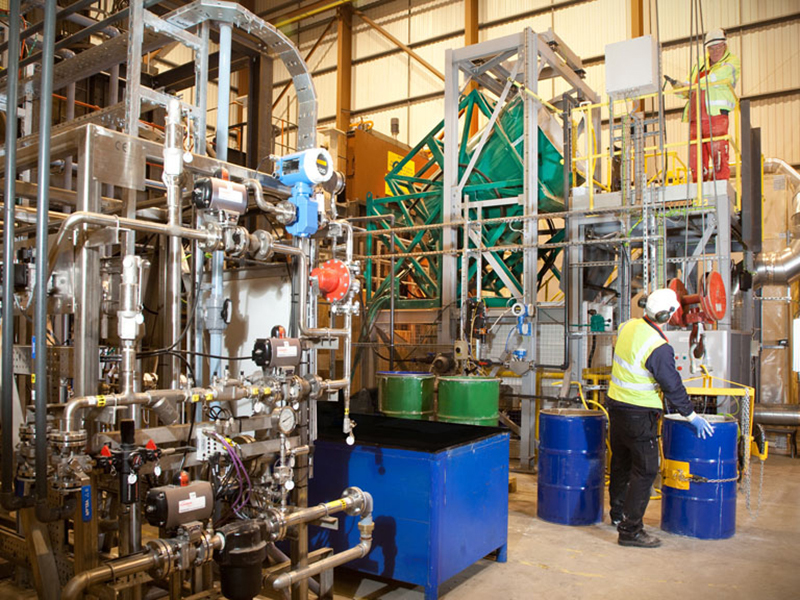 Our team of scientific experts have been developing waste management solutions for the UK nuclear industry for more than 30 years. Our scientific experience includes the development of innovative ideas, including novel encapsulants and utilisation of readily available materials and equipment from other industries. 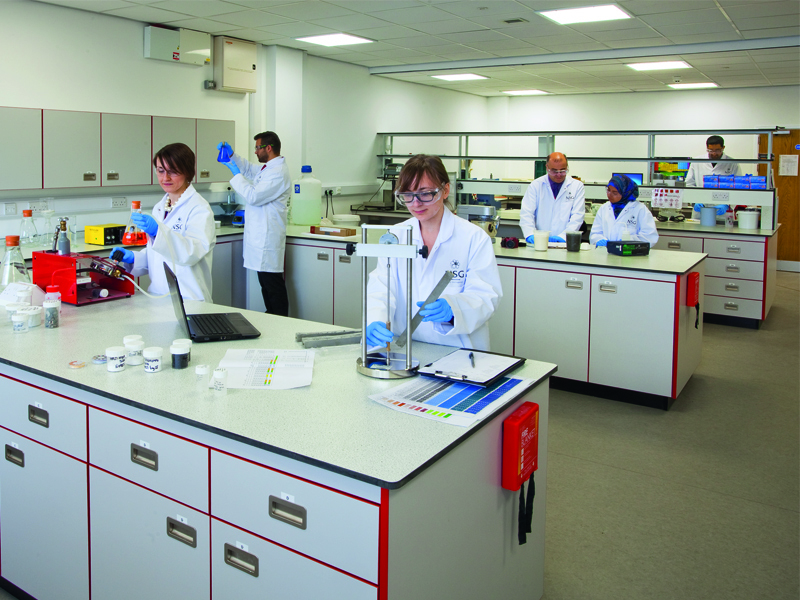 With our state-of-the-art laboratory and workshop facilities, we have both the capability and equipment to perform a variety of wasteform trials, with the capacity to store samples in a temperature-controlled environment for long-term testing and observation. We have a pragmatic approach to waste management challenges and possess the capability to set up small-scale trials in order to understand and replicate the processes involved. Small-scale benchtop development studies are a cost-effective way of validating concept designs and providing confidence in developing the solution further at a larger scale and/or full-scale. For encapsulated waste packages, we have the necessary understanding and techniques to evaluate prospective wasteforms against the LLW Repository Ltd and RWM acceptance criteria and possess state-of-the-art equipment to provide the full service to our clients. One of the major challenges in providing radioactive waste management services is understanding the physical and chemical properties of the waste. 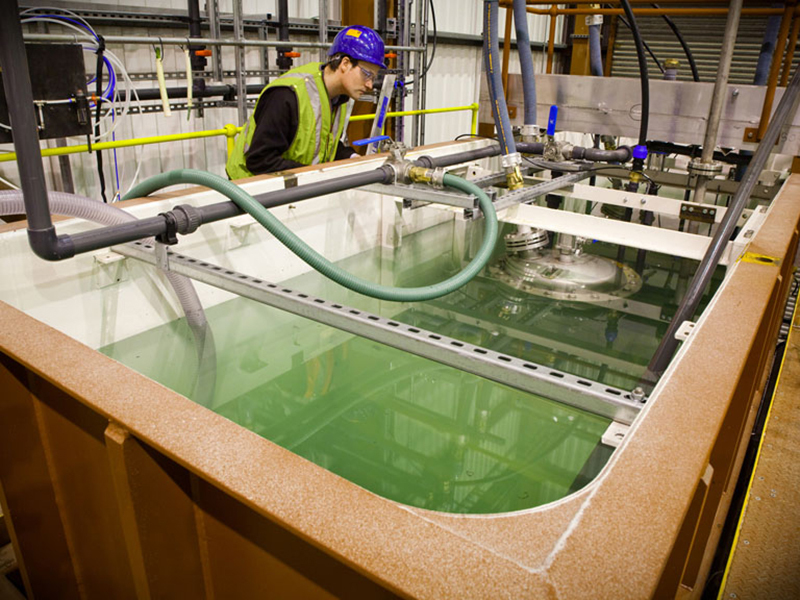 At NSG, we have an experienced team who are practiced in developing a range of simulants and test materials which closely represent a variety of waste streams. Our experts have the ability to recognise the crucial issues and challenges with specific wastes. This allows appropriate tests to be developed, which provides relevant scientific underpinning of a proposed solution. The challenges faced can include replicating chemical properties (e.g. pH, cement retardation, corrosion products, etc.) 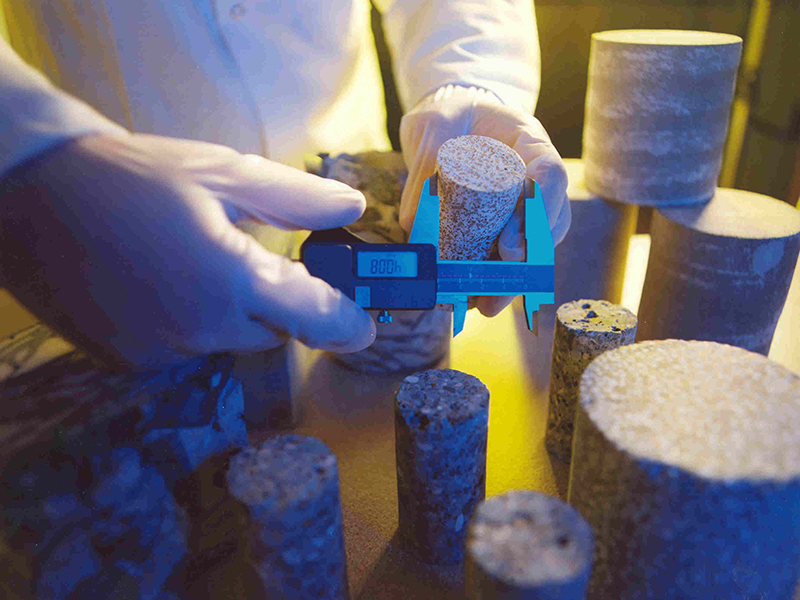 and physical properties (such as rheology, particle size distribution and yield shear strength). The use of small and full-scale test rigs allows us to identify and rectify potential operational problems before they are encountered, significantly reducing the costs and timescales for development when compared to operating within an active area on a nuclear site. Initially through simple test rigs, we have the capability and facilities to practically validate and underpin system designs in a cost-effective manner before proceeding to the detailed design phase of the project. 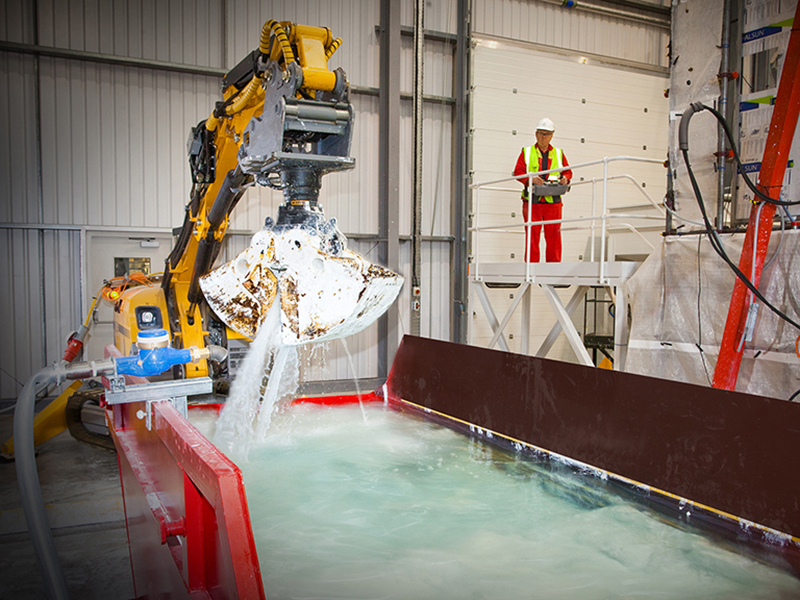 As the project designs develop, we also have the in-house processes, resources and a mature supply chain to provide either full-scale system mock-ups that can replicate plant or the actual plant that will be used on site. We pride ourselves on our ability to provide understanding of the nuclear industry’s challenges, developing trials to investigate potential solutions and then further developing these into pragmatic and deliverable processes. Throughout our research and development, we focus on the development of simple solution-focused processes which incorporate the knowledge and experience of our teams and collaborative partners to integrate optimised ideas into a fully functional process.